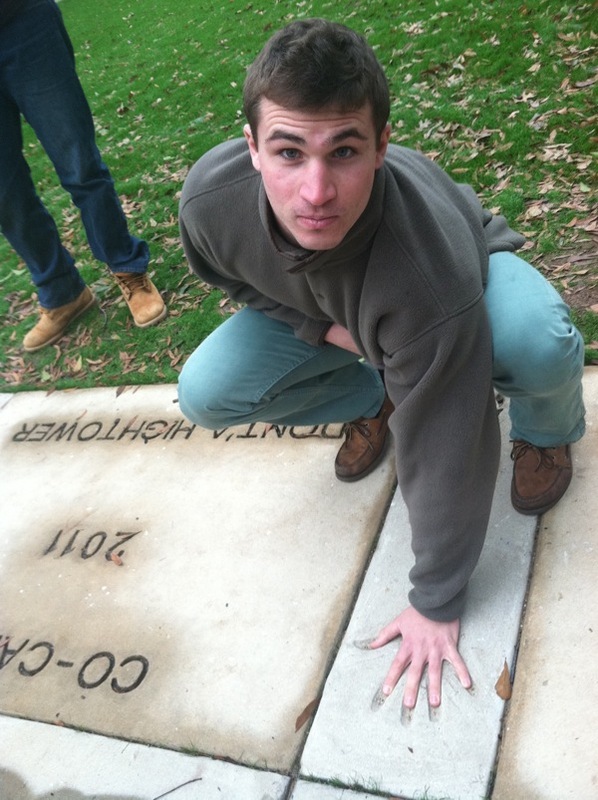 Nick Finan followed in the handprints of Tider/Patriot Dont’A Hightower. 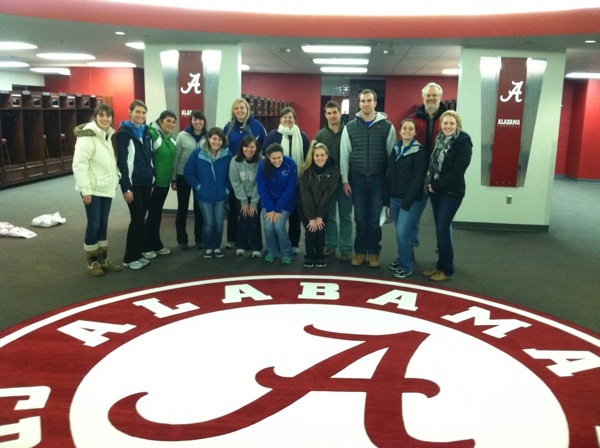 Once again Assumption College’s SEND program has sent students to help Habitat for Humanity rebuild my hometown of Tuscaloosa after a catastrophic 2011 tornado – and once again Alabama will be playing for a national championship during their visit. Only this time around, our students will be tempted to root for the other team – the Notre Dame Fighting Irish, coached by Assumption graduate Brian Kelly. For my essay about the ironies and paradoxes of the visit in the sports section of today’s Worcester Telegram, see the link below. Meanwhile, the students are impressing as usual, in both the way they work on the Habitat construction site and the way they carry themselves in general. More, of course, to come. Assumption’s 2013 team in locker room, behind seal on which only Nick Saban may trod. ← 2012 Will Stick With Me. Sorry to the Assumption community, though, I can only root for the Irish during that game that they put Rudy in!